The law office Pawlowski is situated in Aachen, Germany. Attorney at law and defense attorney Christoph Pawlowski offers competent legal advice in any field of law. Correspondency in fluent english is assured. In Criminal Law time is most important. 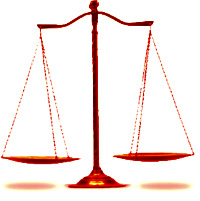 The earlier your defense attorney can interact, the more efficient and numerous are the possibilities of intervention. The sooner you contact your defense attorney, the better. For the urgent cases such as beeing arrested or having to suffer a house searching, I have installed an emergency-hotline. Most important for you: Stay silent! You have the right to do so! Silence is neither consent or denial. You don't know what the Public Prosecutors Department already found out, and what they do not know! Your attorney assures equality of arms. He can request the file from the district prosecutor and examine it. Afterwards the decision can be taken if silence or speech is golden. In Civil Law my main fields are The international civil law, the bankruptcy law and the family law, but also the regulation of road accidents. If there occurs a legal problem that should be treated by a more specialized colleague, I have a network of highly specialized english-speaking attorneys and tax advisors.